A jury panel in the court deliberations in between Alexander Povetkin and Deontay Wilder in New York were presented on Wednesday with a range of expert scientific findings relating to instances of doping, TASS reported. Representatives for Povetkin particularly presented the jury with the findings of well-known Dutch researcher Douwe de Boer, who specializes in the analysis of doping probes taken from athletes using the methods of mass spectrometry. Findings by experts of Povetkin’s tests confirmed the argument of one of the boxer’s lawyers Kent Yalowitz, who earlier pointed out that his client took meldonium only before the January 1 2016 date when the substance was added to the list of banned substances by the independent World Anti-Doping Agency (WADA). As is emphasized by the Russian side, meldonium can stay in an athlete’s system for many months after the point of ingestion. Povetkin tested positive for the drug in the lead up to his fight against Wilder for the WBC heavyweight title in May last year. During the proceedings, which continued for more than eight hours, lawyers for Wilder questioned two experts – Anthony Butch and Daniel Eichner. The former is the head of the laboratory in California which is carrying out analyses of the doping probes taken from athletes; the latter runs a similar laboratory in the state of Utah. Butch and Eichner spoke in support of the version of representatives of Wilder, who allege Povetkin took meldonium not long before his planned fight with the American in Moscow on May 21, 2016. The allegations against the Russian were originally made in June 2016 by Wilder and his promotional company DiBella Entertainment Inc, not long after the scheduled fight between the two boxers fell through. The American side publically accused Povetkin of doping and contractual violations and sought compensation of $5 million in court. Povetkin’s promotional company Mir Boksa (World of Boxing) in June submitted a counter suit, seeking $34.5 million in damages including defamation from Wilder and DiBella Entertainment Inc. In the current stages of deliberation, the jury panel must address the issue of whether Povetkin took meldonium after January 1, 2016. However, their decision will not entirely mean that the matter will be put to bed, as the panel will not decide whether either side breached their pre-contract agreements or their financial accountability. To respond to the given investigatory questions is the responsibility of the judge in the next stage of deliberations. How long this will take is as yet unknown. 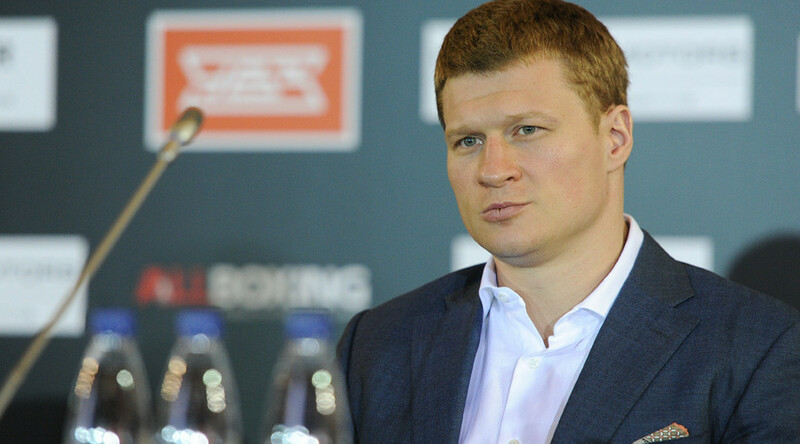 Following Povetkin's positive test in the lead up to his fight with Wilder, the World Boxing Council (WBC) opted not to ban the Russian because of “the impossibility to scientifically prove that Mr. Povetkin ingested meldonium after January 1, 2016” when the drug was included on the World Anti-Doping Agency (WADA)’s list of forbidden substances. However, the WBC also stated another failed test in the next year would see the boxer “indefinitely” suspended from all events organized by the WBC. A further positive test - this time for the banned steroid ostarine - put paid to a December date with former champion Bermane Stiverne for the WBC International heavyweight title in Ekaterinburg. It was this week announced that Povetkin had been excluded from the WBC world rankings as well as those of the International Boxing Federation (IBF) due to the second positive drug test. It was, however, announced he would keep his spot in the European rankings.